The piano started as an expensive contraption created by Bartolomeo di Francesco Cristofori in 1709. Now, various types of piano have been created, distributed, and played across the globe. They are grouped based on designs, dimensions, and structures, serving both as instruments and decorations. Basic piano types consist of horizontal (grand piano) and vertical (upright piano), signified by the locations of their soundboards. With further piano technology developments, these basic groups grew into more various types. A spinet is the smallest vertical piano, created to fit a small home or apartment. Spinet piano is usually 35 to 37 inches high. It is ideal for kids and beginner adults. Spinet does not last long because it has less power and accuracy than larger pianos. While the sound quality and key accuracy are not sophisticated, spinet is still great to introduce melodies and techniques. Another common “home piano”, console piano is larger than a spinet, with a standard height of 40 to 43 inches. The console comes in acoustic and digital versions and ideal for beginner adults. It has better sound quality than a spinet, with better key accuracy, perfect for teaching techniques and melodies to basic-to-intermediate students. The studio has larger piano sizes because it is popular in music schools and studios. The dimension is larger because it is designed for the more professional establishment. However, people who play the piano professionally usually have this piano at home, since it has better sound and construction. Studio piano also has more key accuracy, perfect for intermediate or professional home training. Also known as “professional piano”, the full-size version of the upright piano has 48 to 60 inches of height. It has the best sound, accuracy, and structure among all the upright piano types. This piano is the best to have if you play professionally and only have enough place for the upright piano. Professional piano is a good investment for home if you plan to achieve a long-term career in music. Despite their compact designs, many upright pianos now come in sleek, modern looks. Classic acoustics such as Wurlitzer upright piano have become relics, although many people are still preserving their antique pianos for their values and nostalgic factors. Unlike small piano types above, horizontal piano presents majestic sound and appearance. Also known as grand pianos, these piano types have horizontal soundboards that can reach four feet from front to back. They are perfect for stage or spacious music room. Grand pianos have more responsive key movements than upright pianos, which allow the musicians to experiment with complicated melodies. They are ideal to play long classic pieces or accompany concerts. Depending on the manufacturers, the piano keys are often made of expensive materials, such as ivory. Petite grand is perfect for a house that has a spacious music room, but still needs an instrument that is small enough to fit the room. Its standard height is between 4’5 and 4’11 feet. Baby grand piano dimensions and designs are favored in private and commercial buildings. They are only slightly larger than Petite Grand, with great sound and construction. They are usually 4’11 to 5’6 feet high. Also known as Parlor Grand, Medium Grand piano earned its name from its popularity as a living room/parlor decoration. The design is elegant, and the size makes it look majestic. However, the size is still perfect for a house and does not look too bulky. Standard height is 5’7 to 6’4 feet. Also known as Semi-Concert Grand, this piano is commonly found on a small stage, ballroom, and other medium-sized music establishments. The size is large enough for such places but too big for a regular home. The standard height is 6’5 to 7’5 feet. Concert Grand is the largest and most majestic of all horizontal piano types. The piano dimensions are large enough to make it visible in a concert hall or auditorium. Standard height starts from 7’6 feet. Many people scoff at digital pianos because of their supposed less of sophistication. However. Digital pianos are used extensively in the modern music industry. They not only come in standard electric keyboard forms but also high-tech instruments that produce unique, modern sounds. Synthesizer and MIDI controller keyboard, for example, produce various unique sounds that acoustic pianos cannot reproduce. These sounds are used to create effects or produce modern songs (usually pop or experimental). Traveling bands or small musical venues prefer common digital keyboards because they are more practical. For more sophisticated sound, there are digital pianos that have an upright model. Stage digital pianos are used for larger performances, but still, emphasize functionality than sound quality. If you plan to buy a piano for casual playing, any type should be okay. The most important thing is choosing the one with good construction and key sensitivity. If you buy an acoustic piano, make sure you can find a service that can tune the key when necessary. If you plan to learn seriously or play professionally, consider buying high-quality brands that have a wide range of products. Start from the simpler piano type to the most sophisticated type. Therefore, you can familiarize your play with the piano’s construction and “feel”, even if you play different types during the years. Brands also play important parts in choosing a piano. Yamaha, Korg, Williams, and Roland are among the best brands for digital pianos. 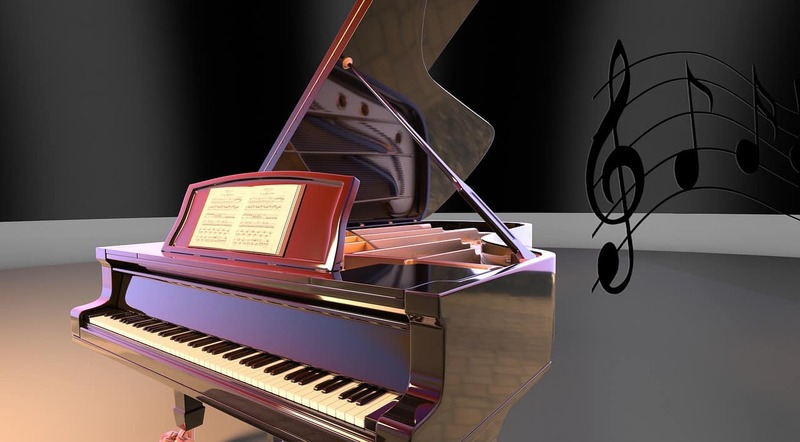 For acoustic pianos, Steinway & Sons are the most well-known brand in the world. Other high-end brands include Bösendorfer, Blüthner, Fazioli, Shigeru Kawai, and Fazioli. The piano has developed widely since its first conception and became one of the most-played instruments in the world. Vertical and horizontal pianos offer unique types based on their dimensions, sound quality, constructions, and key accuracy. Choosing the right types of the piano is important to support your performance.